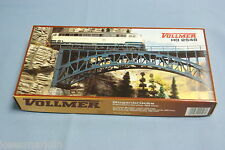 Specialist in Märklin M Track, always stock of M items also larger quantities on request. 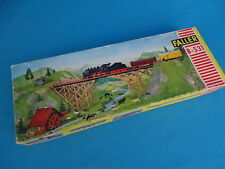 Further Märklin Locomotives, cars and coaches, spares and extra's used and almost new. Regularly other HO items of all brands. Hope to be of service to you, any question; mail me. Busch 5912 Blinker set Highway Trailer 14-16 v.
Faller 178 Passenger Platform Bridge Un-Build Kit. Plastoy 7944 Kit of 5 HO Scale Village Set "Neuenfeld"
Plastoy 7944 Kit of 4 HO Scale Village Set "Grünstein"
Busch 5910 Blinker set Railway Crossing 14-16 v.